Friday and Saturday were the weekly holidays for us! Sounds strange but true, as we were in Tel Aviv undergoing training! The weekly holidays coincided with Sabbath and Sunday was the first day of the week. We had spent more than two weeks and were itching to see more of Israel! I along with the other three Indians, two Israeli and one Italian friend checked out of the hotel . Luigi, the Italian, agreed to drive the car, Isuzu Trooper, hired for the weekend trip to Eilat. The city is at the south most tip of Israel and is around 400km away from Tel Aviv. The day was breaking when we assembled outside the hotel and waited for Luigi who showed up soon, at the steering of the four wheel drive! Soon, the car hit the main highway as we went past the towering buildings of International Diamond Centre in Ramat Gan! We got on the Aaylon Highway Route 20 where the traffic was gradually building up. The first halt was at Beersheba about 40 km away for a cup of coffee! Next we drove through the arid Negev desert where one could see the sprawling sand dunes for miles! It is a mélange of brown, rocky, dusty mountains interrupted by wadis( dry riverbeds that bloom briefly after rain) and deep craters. We sighted the local tribesman called Bedouin! The sun shone strongly and the weather became hotter as the day progressed. One gets very thirsty as the dry air hits the face on stepping out from the car. We had a brief stopover at the town of Dimona to stretch our legs before reaching the kibbutz at Lotan. The drive continued till we reached the Timna Park. 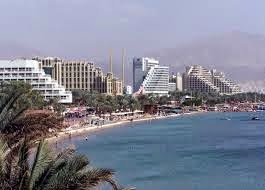 This place is located 30 km short of Eilat. 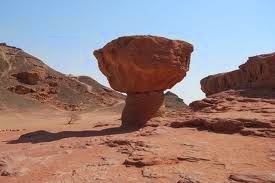 It has some of the most wonderful multihued volcanic rock formations, sandstone columns which are a nature’s creation! They appear vibrant with color as the sun rays dance around to give a feel of descent of a rainbow on the ground. We collected at least a dozen samples of colored sand in small glass bottles here which have been formed, with the erosion of the volcanic rocks, as a souvenir! Next day after breakfast we reached the Coral World Underwater Observatory, where we saw the rare marine life like stingray, turtles and sharks from close quarters . Our next halt was a ride in The Yellow Submarine! The Yellow Submarine is one of the world's most advanced public submarines. The safety and comfort is assured using advanced technologies and an experienced crew. The Submarine leaves the Underwater Marine Park, and slowly moves to deeper water, to a depth of 60 meters. The submarine has viewing windows of Perspex which transported us to a whole new world! In this journey one experiences the slow changes in light levels, the color and underwater life at different depths. We then went to see the Dolphin’s show at the Dolphin Creek where dolphins perform and swim with the tourists. We started our return journey for Tel Aviv, after lunch! 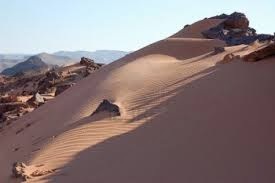 It was an awesome sight to see the golden sun, set beyond the sand dunes and see the sky darken. Finally we reached Tel Aviv at night, as the city sparkled in the twinkling lights, with some of the best memories to treasure. http://www.carconnect.in is a site which would sent the minds of lovers of car racing. The site is unique for the review of new models and even making comparison of models of different cars.The details of new launches and great travel experiences make an interesting read. The best way to remain connected in the top gear is to get hooked on to the site for many a great rides! Sorry, there was typing error! Good shot of the Negev desert! Did you take any underwater pictures from the Submarine? You went into a submarine?!!!!!!!!! I AM SOOOOOOOOOOOO JEALOUS. And the Timma park looks surreal! Do'nt worry Red, you will have many more fabulous experiences! Nearer, home you can have a ride on such a submarine in Maldives:)Thanks a lot for reading! What a beautiful place! You have taken your readers almost all round the world.Your travelogues are very interesting and also informative. Thank you Ushaji, am happy you found the travelogues interesting! I never expected that we can enter a submarine and go sight seeing! This is great. Did you write down the names of all the places you visited in this trip? This post is going to be useful for us when we visit Tel Aviv which doesn't seem like a common place people visit! 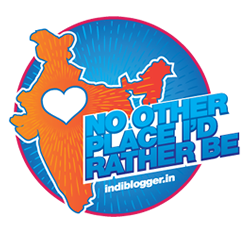 Thanks Sandhya, I have the entire list of places, which I will share if you like! It was a great experience for sure! What a lovely dry landscape there! I love that yellow beauty most; sounds so inviting too, would love to experience a ride someday. Lovely, just fabulous! And wish you good luck for the contest. Thanks a lot, Rachna ! This is beautiful. You love traveling and your passion is evident in your posts. 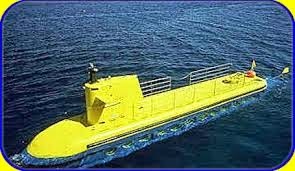 I never knew about this yellow submarine. Thanks a lot Alka for reading! I am hooked to travel and my work took me to places for which I thank god:) Yellow submarine and another one in Maldives are experiences which get etched in the memory forever! Mr Chowla, Israel is an amazing country and one has to really see it to believe for the love and dedication with which the people have made it such a strong nation! I knew nothing about this part of the world before, it was really interesting hearing about it from your point of view. Do visit Israel and am sure you will get a new perspective of the fashion world there, Sam:) Bar Refaeli is a name that created a flutter in the fashion world! A fascinating part of the world! I'd love to ride in that yellow submarine. What an amazing place. I wish to travel to such places sometime in the distant future. My best wishes, Rachna for fulfillment of your dreams! Thanks a lot! Rahul, I have nominated you for the Quintet Radiance Award. Kindly accept it. Kindly refer to my post dated 10/07/2014. Congratulations. I am humbled Ushaji for this ! Thanks a lot! Not surprising to hear this desert safari Driving and texting you should be considered a criminal offense, just like drunk driving.